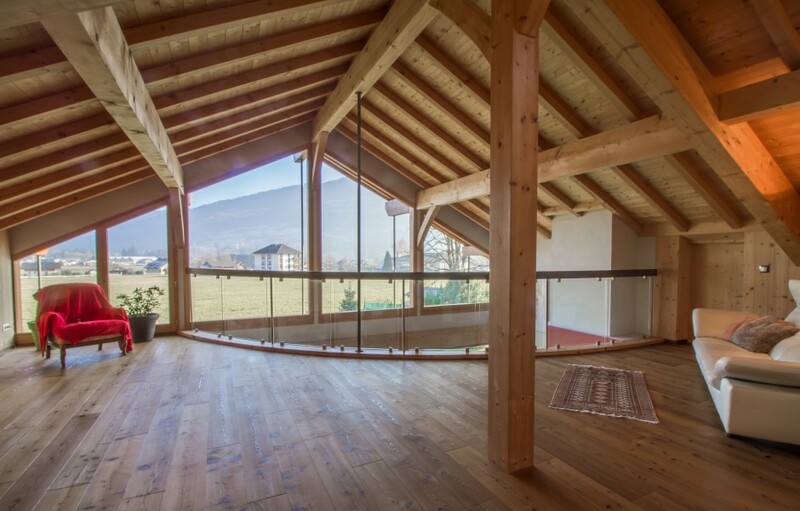 This beautiful individual chalet sits in sunshine at the end of a quiet impasse with stunning mountain views. 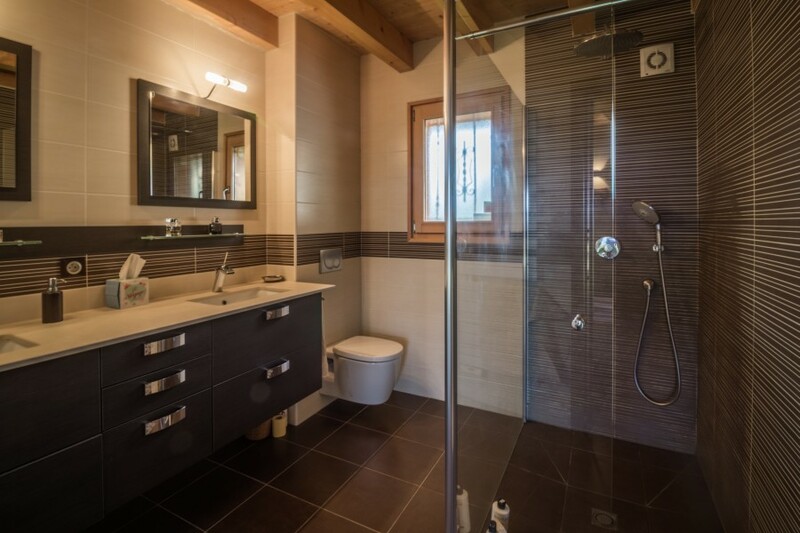 It is 60km to Geneva airport, close to local amenities and both the Grand Massif and Portes du Soleil ski areas. 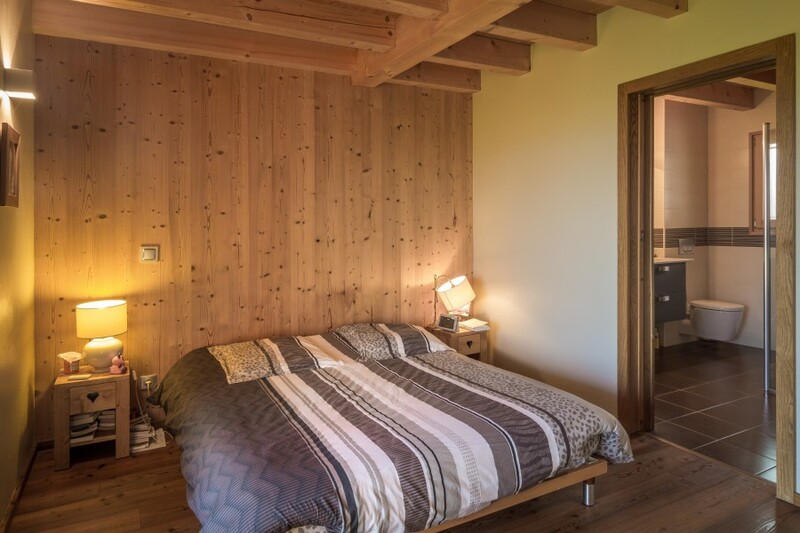 The chalet was designed by an architect and built in 2010 by local artisans and is tastefully decorated throughout. 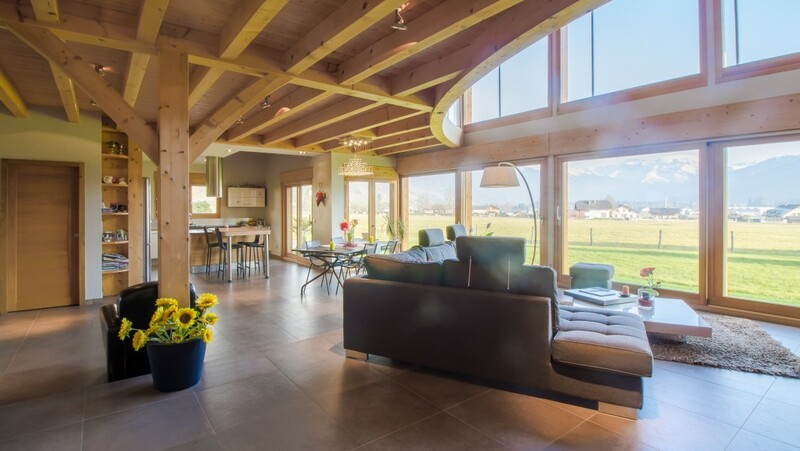 The vast windows at the front of the chalet offer a superb view of the fields and mountains beyond. 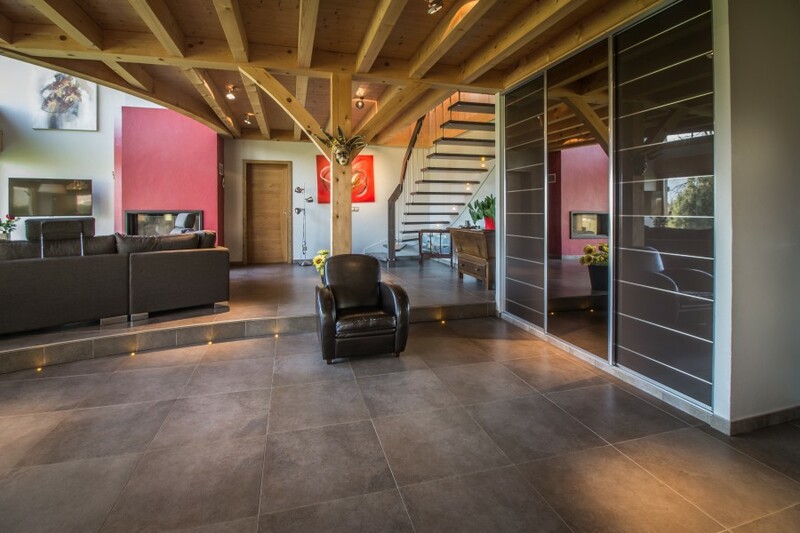 The chalet of 214M2 habitable space, benefits from aero-thermal heating and would make a perfect family home. Patio doors lead from the dining area onto a large terrace. 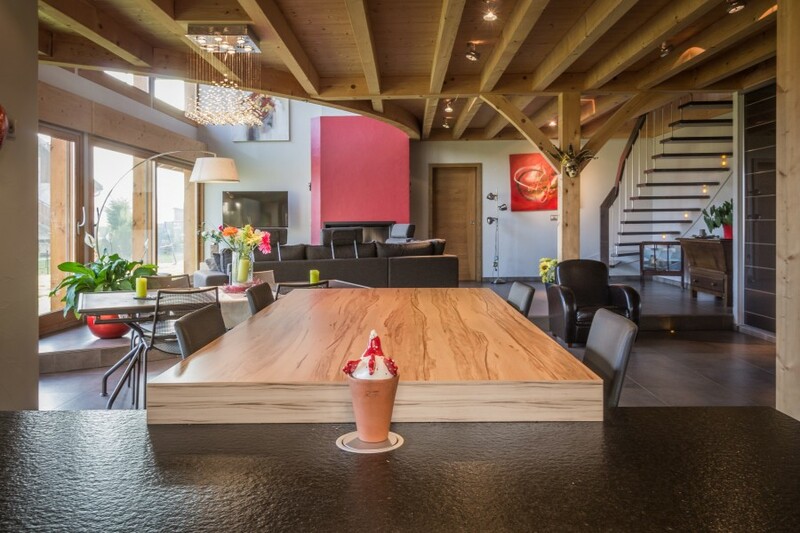 There is a large curved step leading to the double-height lounge with impressive fireplace and floor to ceiling windows. Built in cupboard with ample storage space for coats and shoes. 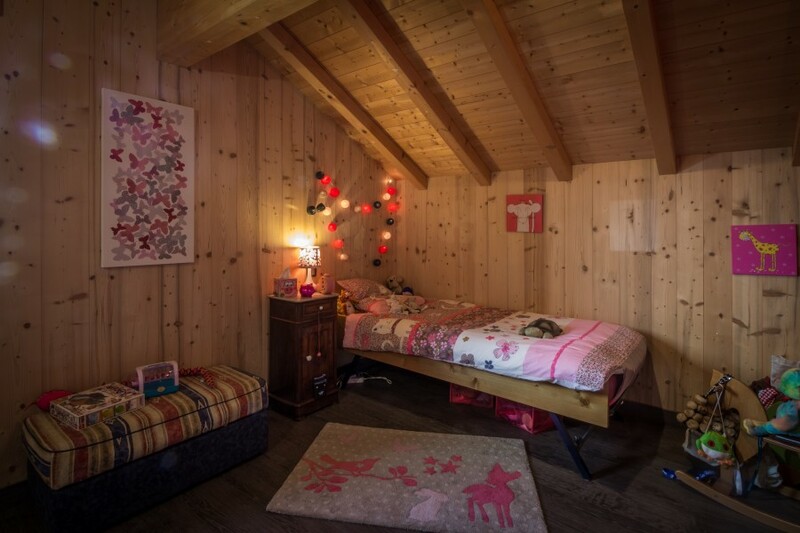 The 40M2 cave is accessed by steps from the storage room and comprises of 3 spaces, the first of which is at head height and which contains the eco waste pumping system which uses waste water to pump all waste from the chalet up to the main drains. There is access to 2 other spaces which have the potential to be excavated and turned into a games area or snug. Outside there is a double garage with remote-controlled roll up door. 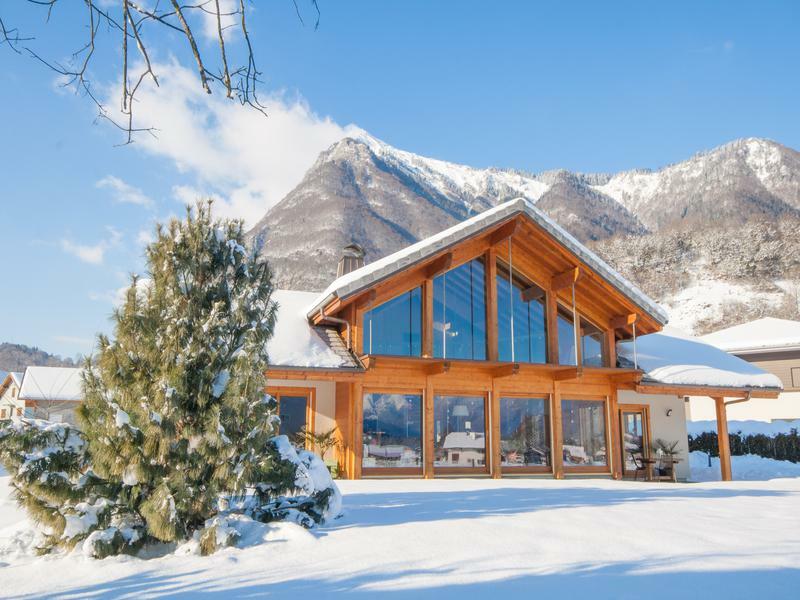 The chalet sits on a flat parcel of 1276M2, surrounded by gardens and offering splendid views over the surrounding countryside and mountains beyond. The chalet is at the end of a quiet impasse and the lit tarmac driveway has parking for at least 4 cars. 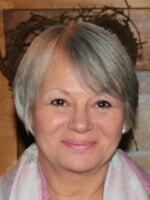 Taninges is a pretty Alpine town with traditional architecture and modern amenities. It is just under an hour from Geneva and residents can access most of their everyday needs without having to leave the town. The town is bursting with history – the centre dates from the Middle Ages and the bridge dates from the 16th Century. The Grand Massif ski region incorporates the ski resorts of Morillon, Samoeons, Flaine, Clusaz, Sixt and Les Carroz. 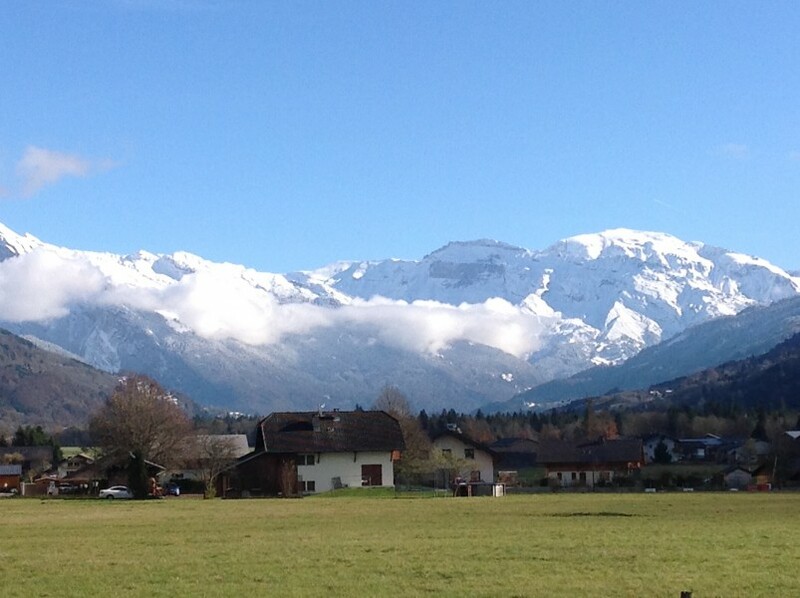 The Samoëns ski area offers a varied playground accessible to all. For expert skiers there are black and red pistes at the top of the resort and a vast off-piste area to indulge your enthusiasm. Beginners will improve on the lower, more gentle blue and green slopes which were entirely re-designed in 2003. Small children are welcomed at the children's ski area (jardin d´enfants) at the top of the Grand Massif Express cable car. At 2 500 m, the summit of the Grandes Platières... A breathtakingly beautiful landscape. Mont Blanc seems to be just a couple of steps away, so impressive is its presence. The Désert de Platé, a vast snowy territory with a unique geological curiosity; a genuine stone glacier over 40 million years old! Flaine offers wide open spaces with 140 km of pistes of all levels, marked and made safe. Just a few oases where you can eat and drink punctuate the landscape which is otherwise an untouched natural space. Morillon is the perfect place to enjoy relaxed snowsports with the whole family, in welcoming and authentic natural surroundings. Among the 72 pistes of the Grand Massif, Marvel, the beautiful green run is a must for those who wish to combine the pleasure of skiing with the discovery of local fauna, as explained on the information boards along the edge of the piste. It even has a local hero… Did you know that Morillon is the home of Antoine Dénériaz, the 2006 Olympic downhill champion ? Samoëns is a beautiful village, listed 88th in the French National Office of Historic Monuments, and the only ski resort in France to be so listed. The impressive Grand Massif mountain range surrounds Samoëns, and the rich fertile countryside has established long-standing agricultural roots. The Giffre River runs through the valley and there are several lakes which provide the focal points for some of the numerous walks in the area. 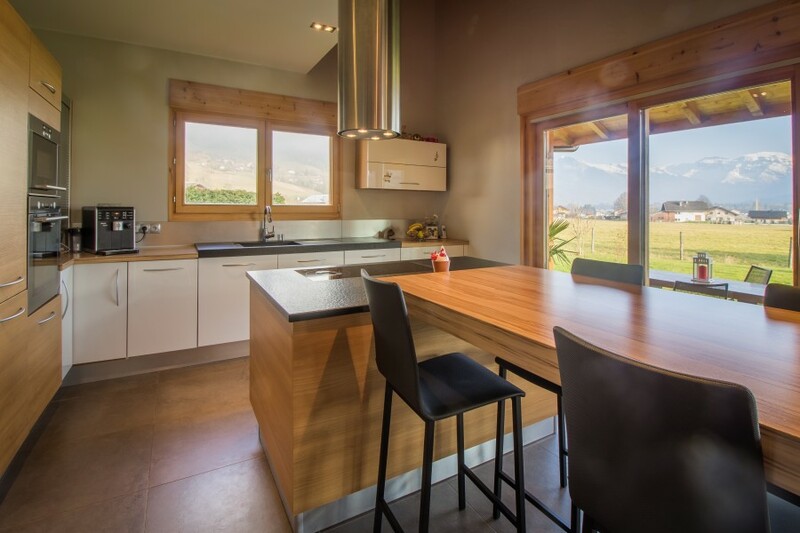 Samoens is a village, not just a ski resort so is busy and vibrant all year round, with an impressive range of restaurants, cafes and bars catering to all tastes as well as a widely varying selection of shops and other amenities.